As we celebrate Earth Month this April, it’s important to think about simple changes we can make in our lives to be a little more eco-friendly. WaterSavers®, a consumer awareness campaign from the International Carwash Association® (ICA), has some great tips to conserve water. WaterSavers is committed to promoting the importance of using eco-friendly car washes that use less fresh water and return clean water back into the environment. 1. How to Be Green and Clean Your Driving Machine – Keeping your car clean with regular washing is an important part of responsible maintenance, but washing at home with a garden hose can use more than 60 gallons of water in as little as five minutes. Furthermore, you̵'re putting harmful chemicals and detergents down storm sewers and that ends up polluting our rivers and streams. 3. Break Bad Bathroom Habits – Bathrooms are water hogs, accounting for about 75 percent of a home’s water usage. Adopting a green mindset in the bathroom can save major water and money. Start by switching to a low-flow shower head, which National Geographic says saves 15 gallons of water during a 10-minute shower. Keep the occasional bath for a special treat because the average tub takes about 70 gallons to fill, so showers are much more efficient. 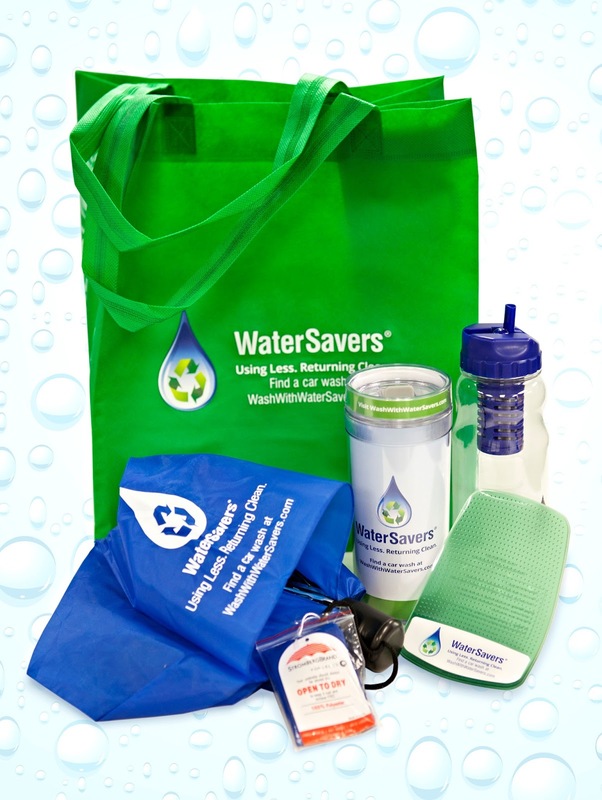 Win It: WaterSavers is generously offering (1) Earth Day Prize Pack to a lucky winner! I would like to see a green world by following these steps. Conserving water is really important, because the earth doesn’t have enough water for the human beings. I think conserving water is such an important action to take.